April 7- Annual Meeting, 7 p.m. The Adrian Country Club was constructed in 1994 and has quickly become known as one of the most well-manicured courses in Southwest Minnesota. 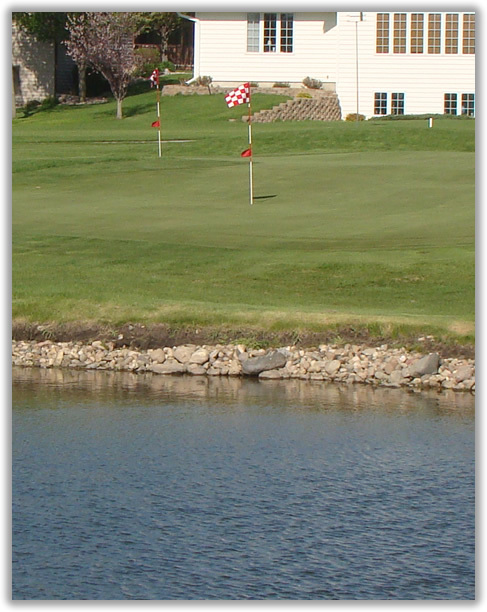 Adrian Country Club utilizes a unique course setup which includes 9 holes and 18 tee boxes to provide a variety of tee shots and approach shots for golfers of all skill levels. The course measures 6,841 yards from the back tees, 6,304 yards from the middle tees, and 5,144 yards from the front tees. We also pride ourselves in our practice facilities which include a full length driving range and a putting and chipping green. After your round concludes our clubhouse includes a variety of foods and drinks for you to enjoy. The clubhouse is also available for use for special occasions of any kind. If you would like to play our course or if you have any questions feel free to call the clubhouse at (507) 483-2722. Our membership prices have stayed the same this year and we would love to have you as a member. Click here to view membership rates and information.